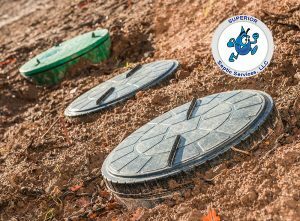 Superior Septic Services is well prepared to take care of common septic repairs in Woodinville, as well as a few that are not quite so common. Septic tank sanitation systems are fairly stable technology, but even so, they can require repair from time to time. Common septic repairs include replacing the risers or lid, putting in a new filter, replacing collapsed drain pipes in the leach field, and, of course, pumping when the tank becomes too full to function. If you have an above ground tank, it might require more attention than the passive, below ground type of septic tank. With the above ground tank, you have the added consideration of pumping into the tank, an essential part of the system. Keeping your septic tank and its peripheral systems in good working order is vital to the function of your home disposal systems. In addition, it is your civic responsibility to keep your home sanitation system not only working but up to safety standards. A well-maintained system is reasonably safe, but older septic tanks that have been allowed to fall into disrepair can represent a hazard to humans, animals, and the environment. 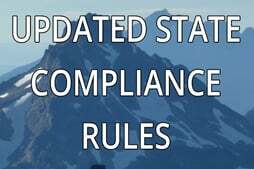 Regular service visits, repairs, and pumping as needed, and inspections keep your system not only in compliance but also working as it should. If you need septic repairs in Woodinville, call Superior Septic Services at (425)905-2424. We’ll be glad to hurry to your location and take care of the problem. In more than 25 years of service to your community, we’ve seen both the common and uncommon repair situations with septic tanks. It would take a lot to surprise or stump us. In the rare cases when the tank will simply have to be replaced, we have the skills and equipment to do that, too.